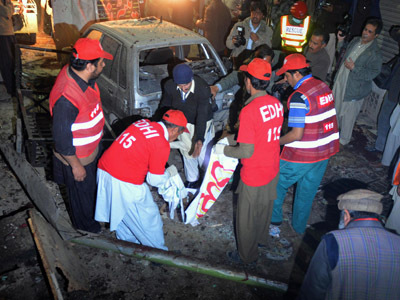 Nineteen Shiites where killed when their convoy of buses was bombed by militants in Pakistan. 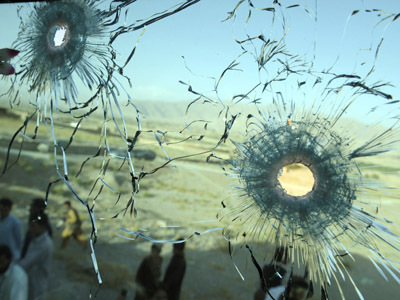 In a separate incident 21 policemen were shot by the Taliban. 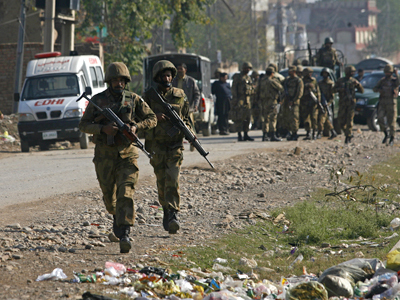 ­Pakistani militants have killed at least 40 people in two separate incidents. A car bomb exploded near a convoy of buses taking Shiite pilgrims to Iran, killing at least 19 people and wounding 30, many are in a critical condition. The buses were full of Shiite Pilgrims on their way to Iran, a largely Shiite country that is a popular destination for religious tourism. 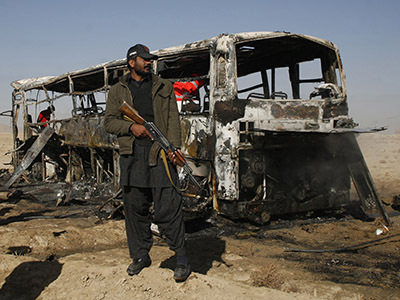 The three buses were overtaking a car about 35 miles west of the Quetta, the capital of the remote and sparsely-populated Baluchistan province. An eyewitness said the bomber then drove past in a pick-up truck, swerved in front of the first bus in the convoy and slammed on the brakes, causing the bus to crash into the pick-up, a massive explosion then occurred. A second eyewitness said the bus, which had more than 40 people in it, caught fire immediately. Akbar Durrani, Baluchistan’s home secretary, said rescue teams were trying to reach the victims in the burnt-out wreckage and that the death toll could rise. 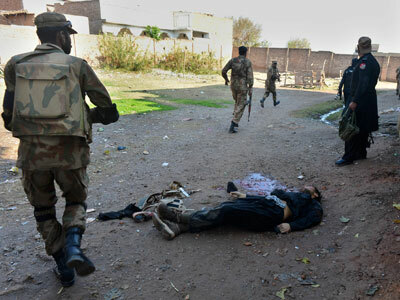 In a separate incident earlier on Sunday 21 tribal policemen were found shot dead in Pakistan’s troubled northwest tribal region. The Taliban have claimed responsibility for the attack. Also on Sunday two Pakistani soldiers were killed by a roadside bomb in the North Waziristan tribal area, security officials told AP. There have been a series of attacks on Shiites recently, which points to the government’s inability to crackdown on groups that advocate sectarian violence and challenges claims that government military offensives have broken the back of hardline Islamist groups. Sunni extremists have carried out attacks against Shiites in Pakistan for many years, but in recent years the campaign of bloodletting has stepped up. It is mainly fueled by Laskar-e-Jangvhi, a radical group aligned to Taliban militants, whose headquarters are in the northwest tribal region of Pakistan. According to Human Rights Watch more than 320 Shias have been killed in Pakistan this year alone. They say the Pakistani government’s failure to catch or prosecute the attackers proves it is “indifferent” to the killings. The militants are further emboldened because they are believed to have links to Pakistan’s intelligence agencies. Many fear that hardline Sunnis are gaining in strength. 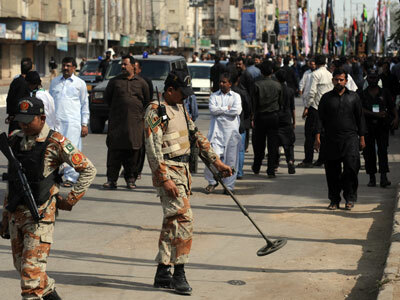 The province of Baluchistan in particular has been tipped into a spiral of violence and chaos. The area was already dealing with an armed insurgency of Baluch separatists who frequently mounted attacks on security forces and government buildings, but this has now been overtaken by the increasingly bloodthirsty attacks by radical Sunnis against Shiites. Shiites make up about 15 per cent of Pakistan’s 190 million-strong populace. Although they are scattered around the country, Baluchistan has the largest community, most of whom are ethnic Hazaras, identifiable by their facial features, which look like Central Asians.